Seems like it may be related to the FB Japanese user group. Sometimes, a few people from it post in the lists. attendding and /or presenting Firebird will be honor for us. There is currently about 20GB of video data available, with around 100 hours of firebird-related presentations from last two Firebird Conferences and other events. 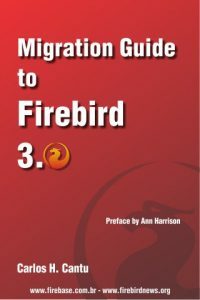 HK-Software has implemented a streaming system based on the Firebird database server, which publishes pictures and audio, as needed to view the presentations from the 2004 and 2005 Firebird Conferences. We will also be adding IBExpert tutorial videos enabling you to learn more about working with Firebird and InterBase with IBExpert. IBELive newsgroup: hk-software.ibexpert.live (English, German and Russian language). There might be some videos that are not working yet, even if they are on the list. Please bear with us; we’ll have everything up and running as soon as possible. The third edition of the conference will happen on July 29th, 2006 at UNIMEP (in Brazil). The expected audience size this year is from 500 to 750 people. This is mostly a portuguese-speakers conference, and an unique chance to reach directly hundreds of potential customers. Paying your sponsorship until 31/March you get 20% discount! Contact fdd.at.firebase.com.br to get the conference mediakit with all the information, including sponsorship plans and prices. to make my paper available to the public. Some 400 people were present. like in your own presentations. FireBase has put online a survey to check user preferences for the next edition of the Firebird Developers Day conference, due in Brazil later this year. FDD has become the biggest Firebird event (regarding number of participants) with the last edition holding 600+ people. It is a conference done mostly in portuguese language, so if you speak portuguese and plan to participate, you can answer the survey here. Open Source Convention is accepting proposals for the its next conference, scheduled to 24-28 July. There is a Database track, so if you think you have something good to show about Firebird, send your proposal using this link. As last year, me, Elein, Trudy and Arjen are the OSCON committee members specifically from the database community. We will be pursuing database talks in some specific in-demand areas. techniques which are targeted at the Perl, Ruby, Java, PHP, Web2.0 or other non-DBA programming communities, particularly complete implementations and case studies showing full applications and/or client code techniques are preferred. This is part of a change in the OSCON program in which a session can be in multiple tracks, and there are no specific track quotas. It’s also a response to the legendarily low attendence of database talks in the past. If you want to discuss potential submissions, contact any one of the committee members and we can give you feedback. Please share your ideas with us soon — the deadline is February 13th!